It has been enjoyable to participate at Oracle Headquarters this week in a set of meetings regarding information security. 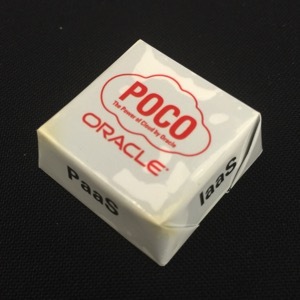 This afternoon, we had a fun surprise when our colleagues from Japan announced their marketing slogan, The Power of Cloud by Oracle (POCO), and passed out POCO – branded chocolates to everyone in attendance! Should we consider launching POCO-mon GO?